File Types: EPS; File Size: 509.58 KB; Vector: Yes. Brewery logotype. 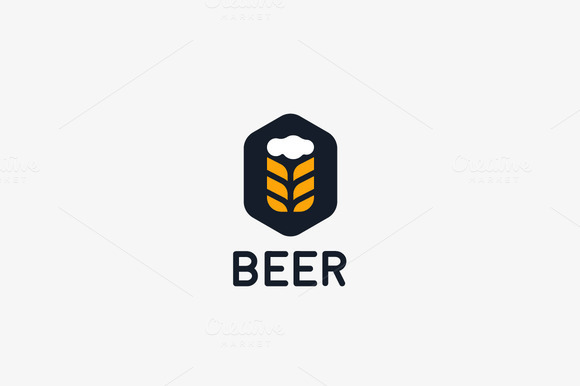 Beer vector logo design template. Pub modern symbol. Stylized mug of beer badge emblem. Keywords: unusual, universal, solid, natural, expensive, stamp, bar, craft, eco, barley, beverage, brewery, sign, vector, unique, symbol, template, wheat, strong, luxury, restaurant, malt, alcohol, element, brewing, simple, premium, label, mug, emblem, icon, retro, beer, design, gold, barrel, badge, beauty, pub, company, classic, lager, banner, original, elegance, hipster, vintage, nature, logo, shop.